I have noticed a disturbing trend amongst my fellow Conservative Christians over the past year. It has gotten so bad that I now refer to most of them as “so-called” Conservative believers. I say this because I believe that too many of them have been placing Politics over their Faith. My social media feeds have become Donald Trump campaign ads 24-7, with very little being shared about the Holy Bible or our God and Lord. Yet, last November, these same believers were referring to him as “the lesser of two evils”. While I know that it is not their intention, many of them have ignorantly made the President an IDOL, which they have come to worship. When Democrats did this with Barack Hussein Obama, and called him a “messiah”, “the chosen one”, and “America’s saviour”, these same Conservative Christian friends of mine shouted “BLASPHEMY” and denounced the Left’s Obama-worship. Sadly, many of them today are doing the same exact thing with Donald Trump and do not even realize it. My first instinct would be to call them hypocrites, but I feel as if they ignorantly have been brainwashed. This has really bothered me for a long time, and today the Holy Spirit has led me to finally put these thoughts into an article. I have lost many like-minded (or what I thought were like-minded) friends and followers on Facebook and Twitter over the course of the past 10 months, but not because my beliefs have changed in any way. They unfriend or unfollow me because THEIR beliefs have apparently changed. The same type of people who applauded me for exposing all of the anti-Israel, anti-Christian, and Godless things that the previous president had done, are now instead attacking me when I highlight even the slightest thing that Trump does against God’s Word. When I called out Obama, my former social media friends and followers agreed with me that he was a prime candidate for the AntiChrist. When I call out Trump, sometimes for the same exact things I criticized Obama for, I get vile and vulgar hate messages. They say that I need to respect the President (which I do), that I need to “go easy on him” cause he “has a lot on his plate”, that I’m a liberal or leftie if I criticize anything he does, or that I’m in trouble with God if I say anything negative about Trump because he is God’s “anointed” and “chosen one”. Hmm… where have we heard those titles before?? Remember when you same Christians lambasted the Dems for giving Obama those same labels? Well, I remember. Another thing that has really bugged me is when so-called Conservative Christians tell me I’m posting “fake news” whenever I criticize Trump in any way. While I agree that there is truly REAL “fake news” (like CNN) out there today, we are entering a dangerous period in America’s history when ANY news that paints the President in a negative light is considered “FAKE”. His followers believe that he can do no wrong, and when he does do wrong, they refuse to believe it. They immediately contend that it must be fake, regardless of the undeniable evidence you present. In my Grading the Presidency monthly article, for example, I always get trolled by angry Trumpers who say that he deserves an A+++ every month. REALLY?? 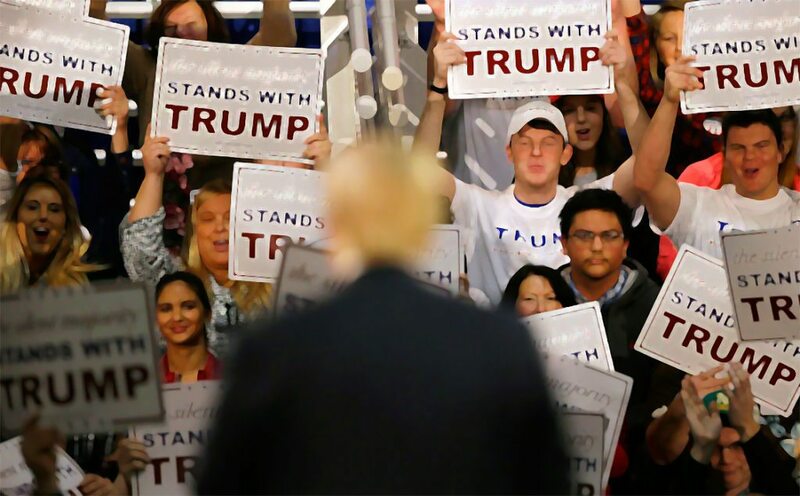 Most of his supporters claim to be strong fellow believers, but that cannot be the case when they want me to flat out LIE to my readers about just how well the President is keeping his promises to Christian voters. Those who hate him always tell me he deserves an “F”, and those who love him say he deserves an “A+”. There has to be an unbiased honest grade in the middle from a Biblical perspective, and I intend to keep giving it. I also expect to continue to be hated by both sides of the aisle for not loving or hating the President, but our Lord said that we would be hated for speaking Truth in a world full of lies. It’s not just me though, my fellow Conservative Christian writers like Steve Deace, Billy Hallowell, and Joseph Farah, have also been attacked by fellow believers who LOVED them a year ago. What changed so much in a year that these people who loved us now loathe us? Only one thing… Donald Trump. Now before anyone thinks that this a “hit-piece” on the President, it is not intended to be. I just felt the need to point out this disturbing new development within American Christianity, because very few others are. Many of my brothers and sisters have made Donald Trump “a god” unawares. The only Person that ever lived who has been perfect, sinless, unerring, wholly truthful, and uncriticizable was our Lord Jesus Christ, GOD in the flesh. Every other human being, from the President on down, sins and make mistakes. President Trump included. That is why I believe that whether it is Barack Obama, Donald Trump, the Democrat Party, or the Republican Party, every one in a position of power can be criticized in this world. Criticism is not “hate”, is not “disrespectful”, and should not be “off-limits” concerning any man or woman. Biblically-minded criticism is healthy for our nation and will lead to a more God-fearing country. Sadly, when my fellow believers deem this current President as uncriticizable, they allow him to get away with anything. For instance, I wrote many articles condemning the former president’s hostility toward Israel, and for attempting to divide their Land. My Conservative Christian friends and followers agreed with my critique 110%. They all agreed because God’s Word strongly warns all of the world’s leaders to not take part in the division of His Holy Land (specifically Jerusalem), else their nations would be judged. Yet, when I write articles condemning Trump for pushing a “Land-for-Peace” Deal on Israel, those same friends and followers lash out at me for speaking out against “their” President. Trump promised up and down the Campaign Trail that he would immediately move the U.S. Embassy to Israel’s Capital of Jerusalem if elected, and though we are over 10 months into his Presidency, the Embassy remains in Tel Aviv. What’s worse, in a recent tv interview last month, when he was asked about a timetable for moving the Embassy, the President said that he is now “NOT EVEN THINKING ABOUT IT” because he wants to broker an Israeli-Palestinian Peace Deal FIRST. If Barack Obama said that, Conservative Christians would be up in arms and calling for his impeachment. When Trump says it… CRICKETS. My fellow believers are silent. When I call Trump on it in articles, they say I’m “attacking the President” and that “he loves Israel”. I don’t doubt that he may love Israel in his own way, and for his own reasons, but I contend that he does not love Israel in the Biblical way God commands us to. If he did, he wouldn’t be so gung-ho on forcing Israel into a Peace Deal which would give some of the Jewish State’s God-given Homeland to their murderous neighbors in Palestine. It’s not all Trump’s fault though. It is the fault of all the believers around him, and those Conservative Christians who don’t hold him accountable like I do. When famous Christians like Robert Jeffers, Jerry Falwell, Jim Bakker, and even Franklin Graham say nothing but wonderful things about the President, and never tell him when he is doing something against God, how is Trump supposed to know? 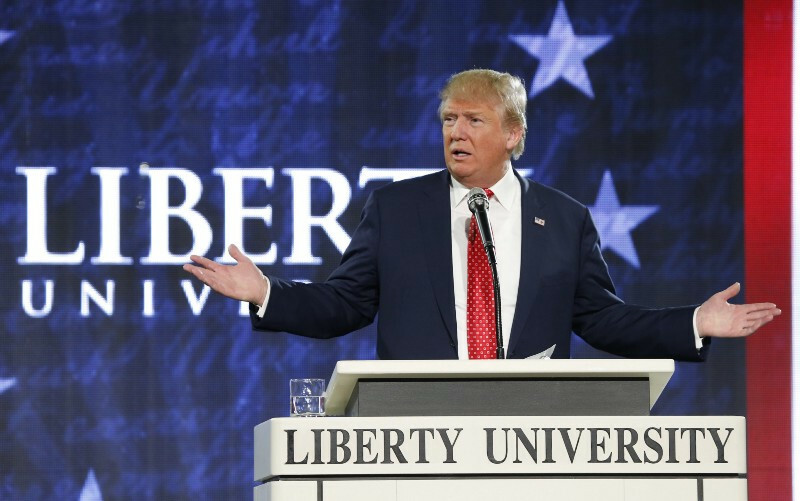 Though many Christians love to paint Trump as some “anointed” Conservative Christian leader, we all know that his “2 Corinthians”, and “I don’t need forgiveness because I never sin”, theology is not the same that we adhere to. I hope that he has truly been saved since taking office, but many of his actions cause me to doubt it. 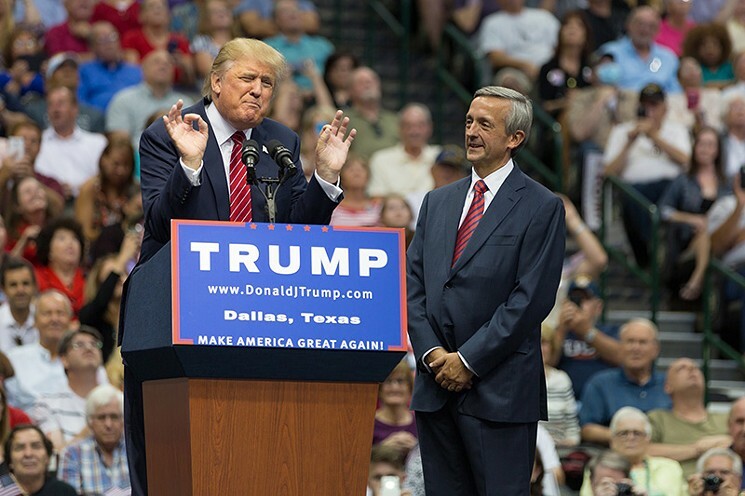 I’m concerned when I read reports about an Evangelical Faith Ambassador stepping down because he feels the White House and Republican Party mock and ignore him, and the Evangelical electorate. I’m concerned when I read news that Trump constantly belittles, mocks, and pokes fun at the strong Faith and beliefs of his V.P., Mike Pence. These things should be cause for concern amongst all my brothers and sisters in the Faith, but instead they continue to give this President a pass. I truly pray that if he isn’t saved, that he will be soon. But, as long as my fellow Conservative Christians remain silent when he does unGodly things, and support everything he does simply because “he’s not Hillary or Obama”, Trump will never know the God WE know, and America will remain under the threat of God’s Judgment. As I’ve pointed out in recent articles, the historic Hurricanes Harvey and Irma, as well as the recent California Wildfire Outbreak, all came after the President did something, or made comments about, pushing Israel into a “Land-for-Peace” Deal with the Palestinians. So, while my “Republican” Christian friends may not care, Almighty God in Heaven DOES CARE. The LORD is not a Republican or a Democrat. He has no political affiliation. The Political Parties need to be on HIS SIDE, and not the other way around. Thus, He will continue to pour out disastrous judgments upon America whenever our leaders try to divide His Holy Land, regardless if the President has an “R” or a “D” next to his name. 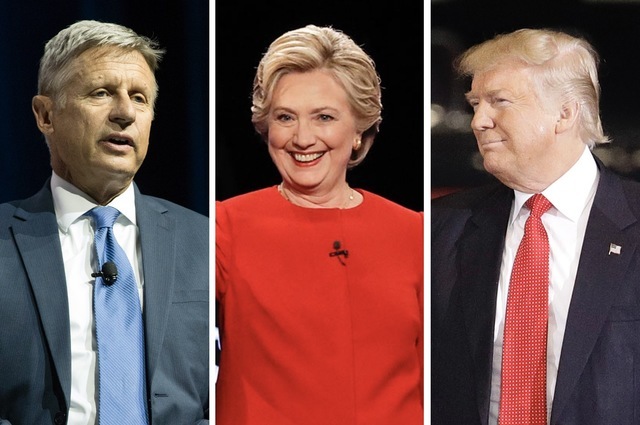 In the 2016 Presidential Election, I could not bring myself to vote for any of the candidates. That is because I analyze each candidate through a Biblical lense before making my decision, and none of the 3 choices we were given in November passed my Biblical litmus test. 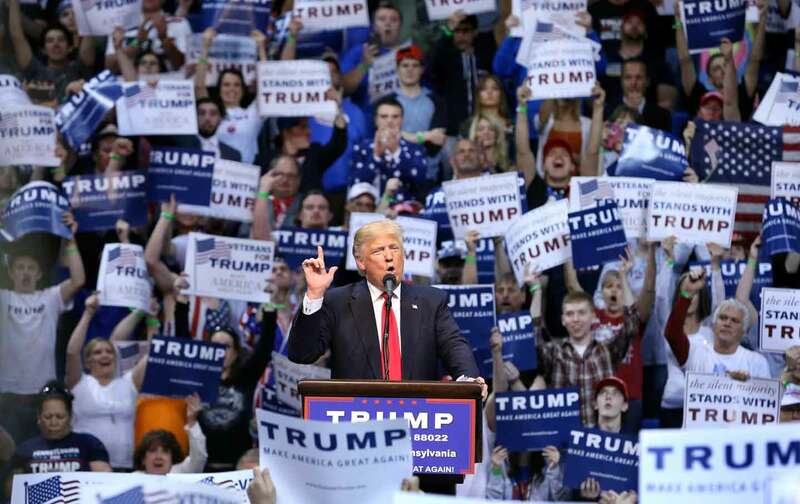 Many of my Christian friends bit the bullet and voted for Donald Trump. Though they shared many of my concerns about him, they virtually all said the same thing – “He’s not Hillary”. I agreed that he was better for America than Hillary by far, but I still could not bring myself to cast a vote for him. To me, he was a liberal New York businessman running with an “R” next to his name. While I was happy to see him win over Clinton, at the same time I was concerned that he would take the Republican Party in a much different direction. Sadly, I think I was right in my thinking. Though, it is not just Trump who is reinventing what was long known as the “Religious Right”, but the GOP itself is. 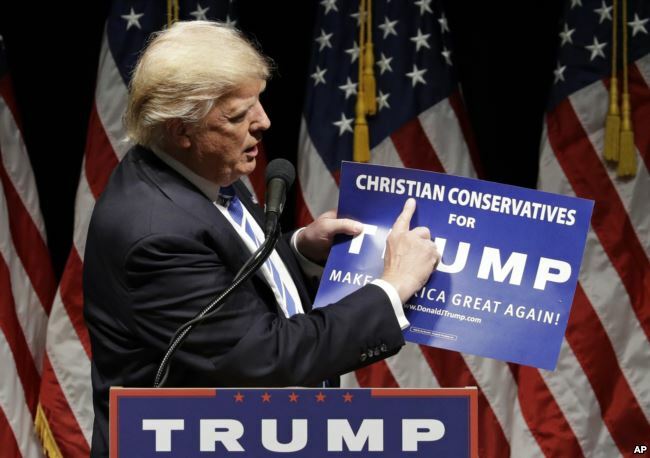 I believe Republicans have been PLAYING Conservative Christians, even moreso than the President is. What I mean by “playing” is that they are using my brothers and sisters for their votes, and then not even caring about delivering on any of the promises they make to Christian electorate. I’ve written a lot about this subject in my past political articles, so if you have the time I urge you to read them. Some examples are that the Republican Platform states that if they gain power (which they did in the 2016 election – winning the Presidency, the House, Senate, and State Governor majorities) they would DEFUND Planned Parenthood, and would fight to overturn the Gay Marriage ruling by the U.S. Supreme Court. 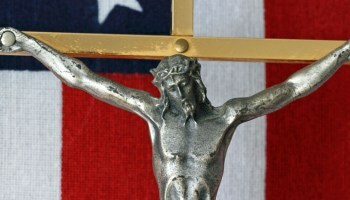 Almost a year after being voted into office by many of us Christians, have either of those pledges been kept to us? If you haven’t been paying attention, the answer is NO. We keep voting this Party into power because they talk a big game to Conservative Christians, but they never deliver. While the Republicans running the nation is far better than having it be run by the Godless Democrats, it still is extremely disappointing to me because they know that they don’t have to make the big changes they promised. 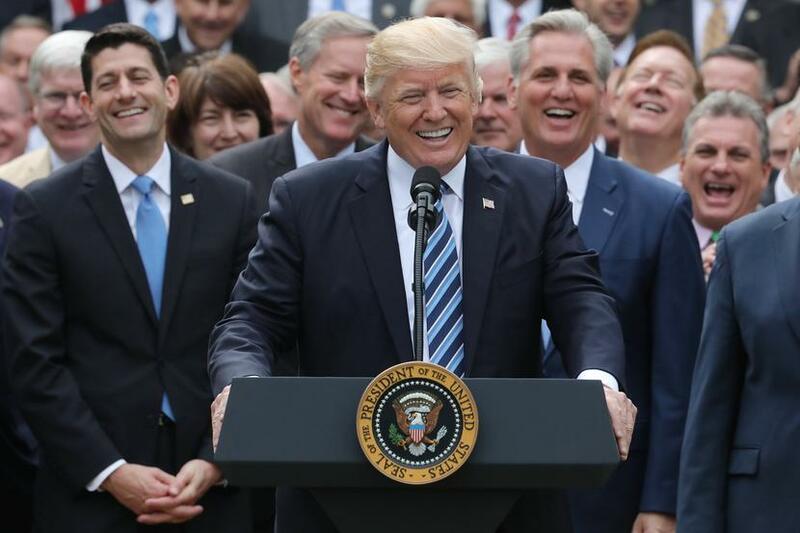 They can just continue to maintain the status quo, and then come election time they can say “the Dems will take us back to the Godless Obama years!” They know that none of us believers ever want that, and since we have no other viable choice but the GOP, we are pretty much stuck voting for them. That gives them absolutely no incentive to keep their pledges or promises whatsoever. We need more true Conservative Christians like Judge Roy Moore of Alabama, and Ted Cruz of Texas, in Congress and in the White House. Until then, this Country will not be the God-fearing nation that we desire it to be. It will continue to be politics as usual, and will continue so long as my fellow believers spend all of their time posting nothing but pro-Trump, and anti-Hillary propaganda on social media. Are we Christians or Republicans? 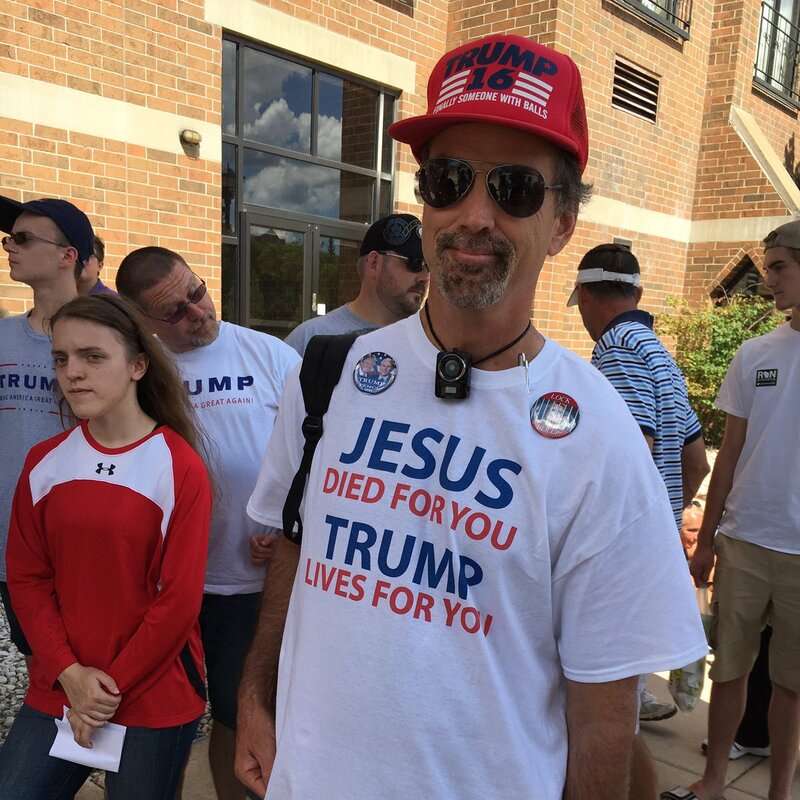 Do we worship JESUS or Donald Trump?? Seriously brothers and sisters, this disturbing trend of putting politics over our Faith needs to END NOW. Share more about the Holy Bible and our Good Lord on social media and less about how evil or crooked Hillary Clinton is. Share more about campaigns to return America to God, support Israel, defund Planned Parenthood, end abortion, overturn Gay Marriage, oppose men using the same bathrooms as little girls, defend our freedom of conscience, and to stop Islamic indoctrination in America’s schools. If we don’t force these issues to the forefront, the Republican politicians and the President are not going to do anything about it. If you keep letting them getting away with doing nothing, they will continue to keep doing virtually nothing. If you continue to praise Donald Trump as the “chosen one”, ignore any Godless things that he does because of blind loyalty, and attack fellow believers like me who hold him and our leaders accountable, then you will NEVER “make America great again”. You will only continue to make it WORSE. 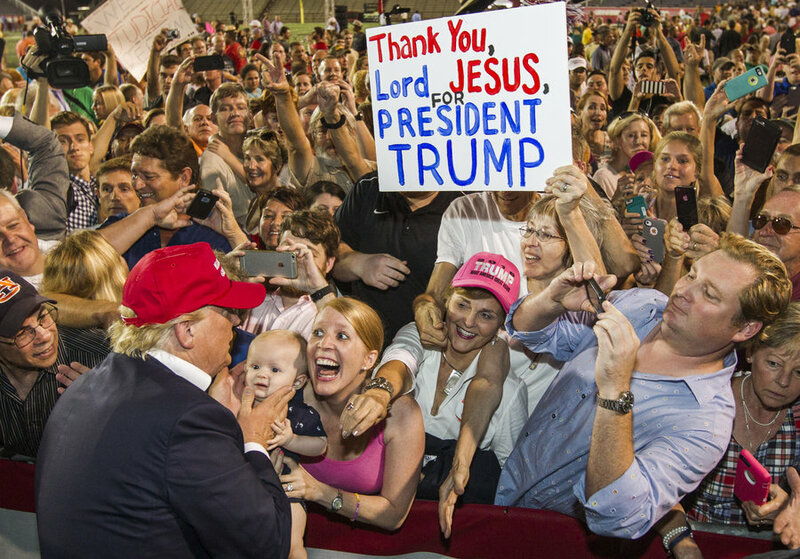 Jesus is our Lord, NOT Donald Trump, and the Republican Party is NOT God. Many Conservative Christians today need to wake up and remember that. If my fellow Christians were as passionate about the Holy Bible as they are about Politics today, or as in love with God as they are with the President, America would not be in the mess that it is. Now, am I saying don’t support the President? No I’m absolutely not. I want him to do well. What I’m saying is, when your support becomes idol WORSHIP, we’ve got a problem. We must insert our Faith INTO politics, and NEVER allow politics to trump our FAITH.